Congratulations to Layla Hazaineh ’20 from all of us in the Peace and Conflict Studies Program!! 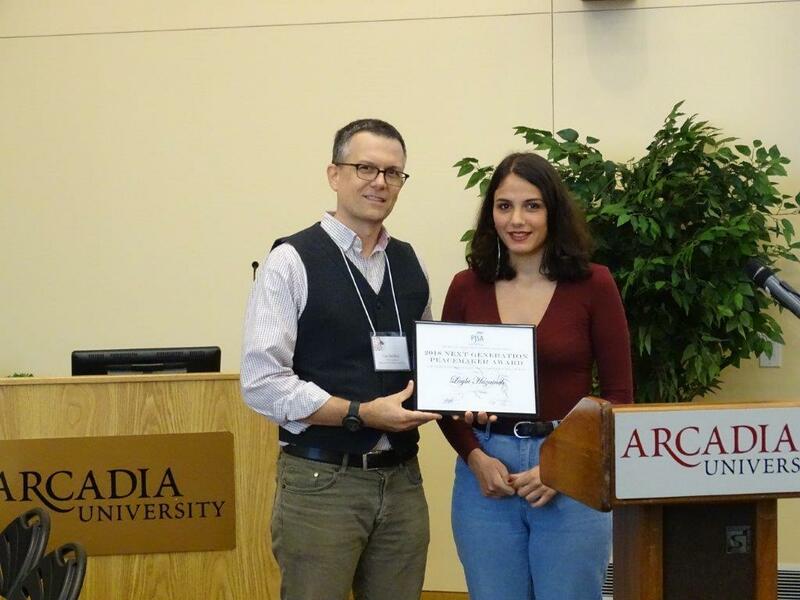 Hazaineh was recognized for her video blog on female empowerment at the Peace and Justice Studies Association Conference, attended by 10 Swarthmore students and faculty. Layla Hazaineh ’20 recently received international recognition for her efforts on behalf of women who have been harassed and treated unfairly. The peace & conflict studies major received the Next Generation Peacemaker Award from the Peace and Justice Studies Association (PJSA) for providing empowerment to women and encouraging them to exercise freedom as an act of rebellion to these injustices. Hazaineh, who was raised in a Palestinian refugee family in Amman, Jordan, was granted the award for the video blog (vlog) she started last year. The vlog features a series of videos challenging the unfair treatment of women in Arab societies, connecting with and encouraging women to express themselves. In the videos, Hazaineh shares her own struggles, such as the courage it took for her to remove her headscarf. For Hazaineh, the Peacemaker award was motivation to keep reaching toward a peaceful and equitable society. Associate Professor of Peace & Conflict Studies and Sociology Lee Smithey had the honor of presenting Hazaineh with the award. Smithey shared his excitement and pride in her accomplishment. Swarthmore was also well-represented at the conference by alumni and former professors, including former Lang Professor George Lakey, who spoke about revolutionary nonviolence, and Jim MacMillan, former journalist-in-residence for War News Radio who spoke about gun violence policy and reform. For students, the conference was an opportunity to engage with diverse perspectives about social justice and learn directly from researchers and activists in the field. Killian McGinnis ’19, a peace & conflict studies and gender studies special major from Baltimore, Md., described how a workshop she attended granted her new insights for her senior thesis that would be hard to obtain in a classroom setting. Following the conference, Hazaineh felt most empowered by connecting with a community of change-makers, people who are also rebuilding peace within modern society. Congratulations to our alum Fatima Boozarjomehri ’17 as well as A’Dorian Murray-Thomas ’16! A’Dorian Murray-Thomas ’16 (left) and Fatima Boozarjomehri ’17 will build upon their Lang Opportunity Scholarship projects and mentor current Lang Scholars and other Swarthmore student innovators. 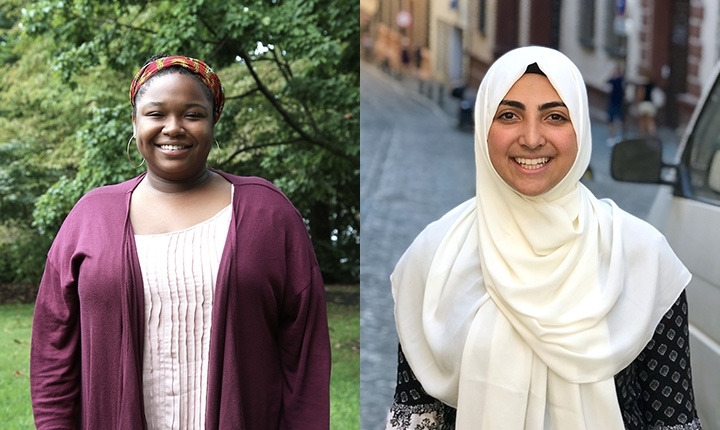 As this year’s pair of Lang Social Impact Fellows, A’Dorian Murray-Thomas ’16 and Fatima Boozarjomehri ’17 will “scale up” their efforts for social change with support from the Lang Center for Civic & Social Responsibility. Murray-Thomas and Boozarjomehri will build upon their Lang Opportunity Scholarship projects this year and mentor current Lang Scholars and other Swarthmore student innovators. “It is through the vision and generosity of Eugene M. Lang ’38, H’81 that communities facing significant challenges have come to know Swarthmore College students and alumni like A’Dorian and Fatima as social change-makers,” says Jennifer Magee, senior associate director of the Lang Center, who designed the Lang Social Impact Fellows program with input from Ben Berger, executive director of the Lang Center, and Salem Shuchman ’84, former Lang Scholar and current Board of Managers chair. “I am thrilled about the opportunity to collaborate with various parts of the greater Swarthmore College community to further enhance the SHE Wins model, and to use my experience to give back to current Lang Scholars, like so many other Lang alumni have given to me,” says Thomas-Murray, who graduated from Swarthmore with a special major in political science and educational studies and, in 2016, was named College Woman of the Year by Glamour and a White House Champion of Change. Boozarjomehri will expand her efforts with the Afghan refugee population of southern Tehran, designing projects to improve education access and quality for Afghan youth and diversifying economic opportunities for Afghan women. This year, she will broaden the scope of The Fanoos Project, a vocational training program for single mothers. Congratulations to Peace and Conflict Studies special major, Ferial Berjawi ’19! For her Lang Opportunity Scholarship project over the summer, Ferial Berjawi ’19 designed and ran the BetterFly Camp, a six-week program that brought 30 young refugee girls in Lebanon together to discuss body image, legal rights, gender-based violence, and sexual and reproductive health. The program, which Berjawi discussed with the Arabic news source FutureTV and on Journal Post, targeted Syrian and Palestinian refugee girls in Lebanon between ages 10 and 15. It emerged from Berjawi’s personal experiences and motives. Berjawi took a research-based approach to the program and used an array of innovative methods piloted by nongovernmental organizations (NGOs) like the Danish Refugee Council and the Women’s Refugee Commission. The Lang Center for Civic & Social Responsibility, which awarded Berjawi the scholarship, lauded her project as a great example of the impact that students can have around the world through engaged scholarship. Back at Swarthmore this fall, Berjawi discussed her experiences with and vision for the BetterFly Camp. How would you describe the work you did this summer with the BetterFly Camp? Basically, it was a series of psychosocial support sessions that had to do with early marriage, gender-based violence, positive body image–also legal rights, discrimination, power, and positionality. It was just basically addressing the different layers of these girls’ identities and helping them start thinking about who they are and who they want to be in the future. All of them have witnessed [gender-based violence]. All of them have seen it, or might have experienced it. That’s not their fault. They’re not to blame. They’re only the victims, even though they are victims with a lot of agency. So we made sure we were not taking that agency away from them. They should be allowed to find their own agency, look within themselves, and find their own power to rise above social constraint and determine their own paths for the future. So it was more inspiration and empowerment than it was about knowledge. How did the idea for the project originate? I grew up with everything that is going on. Just growing up and seeing it, living under the patriarchy, I experienced the sexism, the misogyny, the objectification, the dehumanization of women all the time. So that was part of it. But I never really knew how bad it was until I did an internship with the Danish Refugee Council the summer after my sophomore year. There, I worked closely with the gender-based violence program coordinator [on a large-scale empowerment/education program]. So I thought, “How about I do a similar initiative, but with a different approach?” I thought it would be more effective so the girls could open us up to even more, since it was a smaller group. 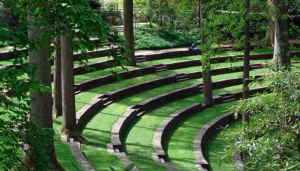 What was the Lang Center’s role in the project? I got the Lang Opportunity Scholarship in December of my sophomore year, and they basically funded my internship that summer with the Danish Refugee Council. I don’t think I would have been able to do it otherwise. They’ve been there, backing me up, all the way. My context is very particular to Lebanon, and even though it may not be their area of expertise, bridging our knowledge together, we were able to make it work. Is there anything that news excerpts or blurbs tend to miss when describing the big picture of your project? Moments or details that get left out? There are little victory moments when you’re like, “Yes! This is working!” The final celebration is one example of that. We had our sessions and at the end, I was like, “You know what, girls? Let’s have a final celebration where you present something.” I thought it’d just be an hour. They’d come, they’d get their certificates, and that’d be it. But they wanted to perform. So in a matter of three weeks, we were able to choreograph a dance—two dances, actually—and a play. The parents loved it. After the celebration, they came up to me thanking me for the project. And the girls—five of them were crying their eyes out, so I just started crying, too. It’s one of those moments that are very genuine and very real. I learned more from them than they learned from me, I think. What are your future plans—for the project or yourself? Someone actually reached out to me from an American NGO. The director learned about my work from social media, and they want to do another project cycle over winter break. They’re completely funding a new cycle, and I’m going to partner with them on it. And for the future, I’m looking into social impact consulting and nonprofit work. Last summer was super rewarding, but you can do all these interventions and do all this nonprofit work, but their lives will ultimately be shaped by the socioeconomic and political circumstances that they live in. So I want to be working on a more policy level to change the framework itself. The 2016 summer Olympics has turned the world’s attention to life in Rio de Janeiro. The city is surrounded by over 1,000 favela communities, which have come to be synonymous with poverty and crime. However, Theresa Williamson ’97 says that while education, health, and sanitation remain to be the top three demands of the people in favelas, the favelas provide a vibrant community for those who live there. Williamson founded and serves as executive director for Catalytic Communities, a nonprofit organization that is working to destigmatize Rio de Janeiro’s favela communities and integrate them into the wider society. Since its founding in 2000, Catalytic Communities has provided communications, networking, and training support to leaders in the favela communities. Williamson graduated from Swarthmore with a special major in biological anthropology and a minor in peace and conflict studies. She received her Ph.D. in city and regional planning from the University of Pennsylvania. 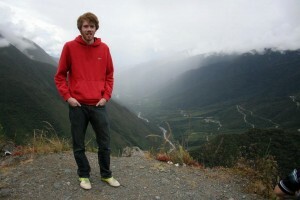 Danny Hirschel Burns was the 2014 recipient of the Peace and Justice Studies Association Undergraduate Thesis Award for the thesis he talks about in this article. While most students at the college choose to major in one or more of its nearly fifty academic departments, some forge their own path. Pursuing their intellectual passions and often generating innovative interdisciplinary work, a handful of students graduate each year with special majors in subjects ranging across the humanities, social sciences, and natural sciences. Some students with special majors can follow a relatively well-established existing curriculum, one created by previous special majors or with programs at Bryn Mawr, Haverford, or the University of Pennsylvania. Others, such as Claudia Lo ’16, who is a special honors major in gender and digital culture, design entirely new programs, working closely with faculty mentors. Lo’s special major seems to have grown naturally out of her life experience and her penchant for academic analysis. As a child, Lo spent much more time playing video games than watching movies or television, or listening to music. “That’s what I did, and so for me it was unthinkable not to study them,” Lo said. Growing up queer and Asian, Lo added, increased her desire to study video games — in which these representations are rarely included — and figure out her relationship to these works. Lo first got the chance to take an academic approach to her fascination with video games during a film and media studies department seminar entitled Women in Pop Culture during her freshman year. The next year, Lo took another class in the department, the History and Theory of Video Games, and realized she could actually pursue video game studies as a potential major. Video game studies, Lo explained, do not really exist at the undergraduate level in the area in which Lo is interested — these tend to cover game design rather than the theory-based critical approaches Lo takes. This was one of the challenges of designing Lo’s special honors major, she said, since besides the History and Theory of Video Games class, there were barely any courses which specifically related to what Lo wanted to study. To meet the requirements for designing a special honors major, Lo combined a wide variety of different courses in film and media studies, sociology and anthropology, and gender and sexuality studies. She also conducted an independent study and is in the process of writing a double-credit thesis, looking at the relationships between video game players and the controllers they use and thinking about digital bodies, drawing on feminist theories of embodiment. Lo is also writing her thesis using a text adventure game engine called Twine. Though the process has been complicated, Lo’s special major has allowed her to guide her work in her classes towards exactly the topics in which she is most interested. She greatly appreciates this flexibility and freedom. “A large part of my major has been, ‘How far can I get away with this?’ It turns out, pretty far,” Lo said. Lo has found the different departments her major fits under extremely supportive of her plan of study and her interests. All of her professors have been very excited, she said, by the prospect of reaching out to contacts who might have knowledge about the different areas Lo has studied in order to find Honors examiners. Now, Lo is searching for and applying to graduate school programs relevant to her area of study. Part of this has been a hunt for the departments under which critical theory approaches to video game studies are housed — Lo says that these can range from “New Media” departments to “Screens, Arts, and Culture” to English literature and sociology departments. “It’s incredibly interdisciplinary, on account of no one knowing what they’re doing. You can get away with anything, and that’s part of what makes it really exciting,” Lo explained. Students can also create special majors in established programs, such as Black Studies, for which many courses are specifically cross-listed. Kara Bledsoe ’16 spent several semesters as a chemistry major before declaring a special major in Black Studies. “I took a Black Studies course just on a whim, because I thought, I’ve never taken a class like this before,” Bledsoe said. She took both an introductory and a history class listed as Black Studies courses. Bledsoe has greatly enjoyed the professors, classmates, and material she has encountered in the course of pursuing her special major, in which she has combined courses from history, sociology, and English. A highlight included her independent study with Professor of History Tim Burke, in which Bledsoe and Burke researched and discussed Black American scientists throughout history. Bledsoe is currently working on her thesis, which has taken a nontraditional form. As Bledsoe’s interests in Black Studies lie at the intersection of science and historical and public representation (such as museums, libraries, monuments, archives, etc.) she is working to create documentary shorts and curating an exhibition focused on the historical experience of Black Americans working in science. The challenge for Bledsoe has not been to find Black Studies courses but to find those that relate specifically to her interests. While some education courses and sociology/anthropology courses, for instance, address some aspects of the intersection of race, representation, and science, Bledsoe has not found the exact perspective she is looking for in these. Thus, she has had to broaden and make more abstract her interests, taking classes which she must work to make applicable to her major. “It has been difficult to find classes, but the classes that I’ve chosen I think have been really compelling and interesting, even if they aren’t directly related to Black Americans in science,” Bledsoe said. A large part of Bledsoe’s decision to declare a special major came from her desire to develop the specialized skills and knowledge she needs in order to achieve her eventual goals of curating a museum, where she hopes to engage with the creation of official memory and access the ways in which people interact with historical information. In the immediate future, Bledsoe hopes to work at the new Smithsonian’s National Museum of African American History and Culture. “They’re really shaping what history is going to be like in that museum,” she explained. 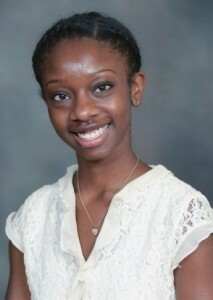 Overall, Bledsoe has no regrets about declaring Black Studies as her major. She believes that her experience of creating her own academic program has taught her advocate for herself and thinking through exactly what she wants to study. As a special major, Bledsoe feels she has learned to continually push for the chance to focus on her academic interests, rather than allowing professors to steer her in a different direction. “You have to be willing to say, in the face of professors, ‘These are great ideas, and I respect what you’re saying, but this is what I want to do,’” Bledsoe said. As Bledsoe explained, much of the advantage of declaring a special major can come from the chance to do innovative interdisciplinary work and to focus more narrowly on exactly the courses and subjects one is interested in rather than fulfilling a more general established set of major requirements. Danny Hirschel-Burns ’14, for instance, found that the biggest benefit of designing his own major in political conflict was the opportunity to write an interdisciplinary thesis on nonviolent strategies civilians could use to survive mass atrocities. Hirschel-Burns knew going into Swarthmore that he was interested in international politics and mass violence. “A big part of it is that my grandfather was a Holocaust survivor, so I’ve been hearing stories about those things as long as I can remember,” Hirschel-Burns said. At the college, Hirschel-Burns took a class on nonviolent resistance which sparked his interest in social movements, and after taking classes with Visiting Assistant Professor of Political Science Shervin Malakzadeh, he became intrigued by broader forms of contentious politics. Additionally, Hirschel-Burns’ desire to think more deeply about violence developed through his membership in Students Taking Action Now: Darfur, a student-led movement to end mass atrocities, he said. Hirschel-Burns’ decision to design a major in political conflict, which was housed in the Peace and Conflict Studies department and also incorporated classes from the Political Science and History departments, was motivated by his desire to take the exact set of classes he was interested in and ultimately apply them to his thesis. “I knew my interests didn’t lie squarely in history,” Hirschel-Burns said. Hirschel-Burns added that there were many classes he could have included in his major that he chose not to in the end because of the college’s 12-course limit on credits towards a major. The interdisciplinary focus of his special major gave Hirschel-Burns the flexibility to write the thesis he had been thinking about since his sophomore year, he said. The content of Hirschel-Burns’ thesis has guided his post-graduation experience as well. He spent one year working at a human rights foundation, conducting research on theories of atrocity prevention, which he said he would not have done without the familiarity with extant literature that came out of his thesis work. Now, Hirschel-Burns is applying to PhD programs in political science to study violence, governance, and state-building. “Basically, my thesis was a scholarly jumping-off point to what I imagine I’ll be doing for the rest of my life,” Hirschel-Burns said. As Lo, Bledsoe, and Hirschel-Burns all stated, special majors can provide students with a more tightly focused and more applicable knowledge for future academic and professional work. 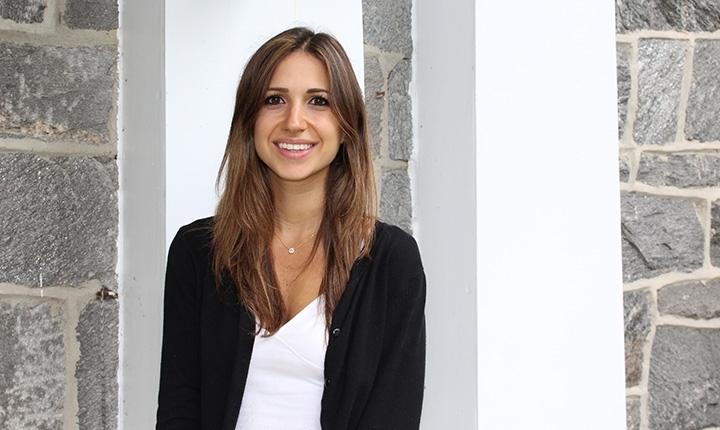 Eliana Cohen ’17, a special major in organizational behavior, hopes to pursue a career in business in the future, yet has been able to follow her more liberal arts-focused interests in psychology and sociology thanks to her special major . Cohen has always wanted to understand how people are motivated, and how these individual motivations affect one’s ability to work together to create organizations, infrastructures, and societies, she said. “When I came to college, I kept thinking about the question of motivation and its implications and soon found that it was not only central to what I was learning in my psych courses — I originally intended to become a psych major — but also to what I was learning in virtually all of my other courses and to my social interaction as well,” Cohen explained. Cohen noted that Andrew Ward, professor of psychology at the college, was instrumental in her decision to pursue her special major. During her freshman spring, Cohen took Ward’s class in social psychology, which furthered her interest in organizational behavior. “I became absolutely fascinated with studying how people work in groups since essentially everything we do as humans involves some sort of collaborative effort,” Cohen said. She also linked her interest in organizational behavior to the small size and emphasis on collaborative learning that are both characteristic of the college, contexts which she feels led her to see the role of individual motivations in shaping people’s ability and desire to work together. Following her desire to gear her education towards what appeared to be a broad field, Cohen decided to declare a special major which would be housed in the psychology department but would incorporate courses from the economics and sociology departments as well. Cohen felt that the college provided her with a great deal of resources in order to design her own educational path. The process involved meeting with a special major advisor; researching organizational behavior majors at other colleges and universities; choosing 12 courses that would meet the major requirement, including a course in organizational psychology not offered at Swarthmore but available at University College London, where Cohen is currently abroad; reaching out to a student who had majored in behavioral economics a few years previously and could give her advice on her proposed curriculum; and meeting with the chairs of the psychology, economics, and sociology departments along with the registrar, before her major could be approved. At present, Cohen is deep in thought about her senior comprehensive exercise, a research project in which she hopes to examine the effect of individual personalities of group members on the efficacy of on-campus organizations and to see if her findings are supported by existing literature. Despite enthusiastic professors and what seems like a solid amount of institutional support for students who wish to design special majors, there can be difficulties as well. Lo, for example, has occasionally felt isolated as a special major doing her thesis research. Unlike students working on their theses as groups within departments, who might be writing about vastly different subjects but all overlap in some way thanks to sharing a major, Lo relies solely on half hour meetings twice a month with her advisor for feedback on her ideas. “I don’t have a lot of contact with other people doing similar things,” she said. For all of this, though, Lo feels that the college possesses unique attributes, such as its size, the liberal arts environment, and the availability of close relationships with motivated professors, all of which enable students whose interests do not fit within established programs of study to pursue their ideal special majors. At another school, Lo added, she might have used her interest in video games to generate paper topics rather than designed an entire major around it. “This isn’t something every institution has,” Lo said. 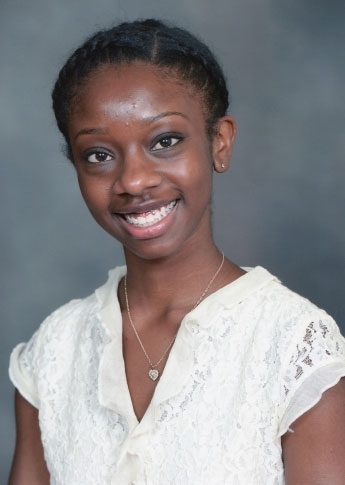 Congratulations to ShaKea Alston ’17, a special major in Peace and Conflict Studies and Dance for winning a coveted arts internship during which she will be working at the documentary company POV, which many of you may associate with PBS public television. This story was initially posted by the News and Information Office. In February, ShaKea Alston ’17 had a video interview for a coveted internship with theDiversity in Arts Leadership program in New York City. She thought it went well but stayed realistic about her chances to be one of the 12 students chosen from the 100 interviewed. But two months later, while studying in McCabe Library, she got the call. “I was pretty excited and a little surprised,” says Alston, a special major in peace and conflict studies and dance from Bronx, N.Y. “After applying for something so competitive, it’s validating to hear they felt strongly enough about my qualifications and potential to accept me. The Arts & Business Council of New York, a non-profit division of Americans for the Arts, placed Alston and 11 other students at host arts organizations throughout New York City. The program was created to promote diversity in the field of arts management and stimulate creative partnerships between the arts and business communities in New York. This week, Alston began interning with American Documentary | POV, a series that offers alternative viewpoints to mainstream media. She works in the development department, researching funding prospects and helping to coordinate the launch of the new season of POV, among other tasks. Arts organizations serving as intern hosts represent an array of disciplines such as music, dance, theater, visual arts, museums, and arts services. The program matches students with business mentors who guide their personal and professional growth throughout the summer, and it connects students to an alumni network. Looking back on her first two years at Swarthmore, Alston cites “The Arts as Social Change” course taught by Sharon Friedler, director of the College’s Dance Program, as pivotal. It offered her the chance to intern with Dance/USA Philadelphia and gave her experience with proposing and writing a grant with classmates, which helped her in her internship with the Innocence Project last summer. “On a more theoretical level,” she says, “the course definitely changed how I thought about and engaged with art on a personal level, and allowed me to share these new ideas with my classmates. While Alston will do everything possible to be in the moment this summer, learning all that she can from her mentor, peers, and program alumni, she’ll also have an eye to the future. It was great to have the opportunity to meet Eben Weitzman ’84 at the Peace and Justice Studies Association meetings at Tufts University during the fall 2012 semester. 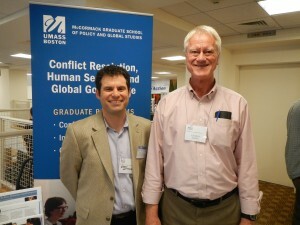 Prof. Weitzman was sharing information at the meetings about programs in conflict resolution at the University of Massachusetts, where he teaches. My experience at Swarthmore provided the foundation for the directions my life has taken, especially my work in peace and conflict resolution. The combination of Swarthmore’s roots in the Quaker tradition of commitment to peace and justice on the one hand, and its dedication to intellectual rigor on the other, spoke to me, inspired me, and gave me the tools I would need. When I went looking for a Ph.D. mentor, I came across the great social psychologist Morton Deutsch—one of the founders of the field of conflict resolution—at Columbia University. Mort would often say that he was looking for people with soft hearts and hard heads. I think this is about as important an idea as any for those of us in the conflict resolution business, and Swarthmore had already done a lot to help shape me in this direction. Why soft hearts and hard heads? Soft Hearts: If you work with conflict, chances are you do it because you care about something enough to do challenging, sometimes painful work. That’s good. The world needs more people like you. Hard Heads: Here’s the tricky part. It’s good to be a softie. It’s good to let your caring and your compassion drive your work. But: Once you settle on a problem, now you have to think carefully, clearly, deeply, and systematically about the problem you’re trying to solve. You have to hold yourself to high standards. You have to subject your work to rigorous test, whether it’s empirical research or practice in the field. You have to be willing to accept answers you don’t like. Because as much as the world needs more people who care, what the world needs even more is people who care, and who also have what it takes to do something about the things they care about. 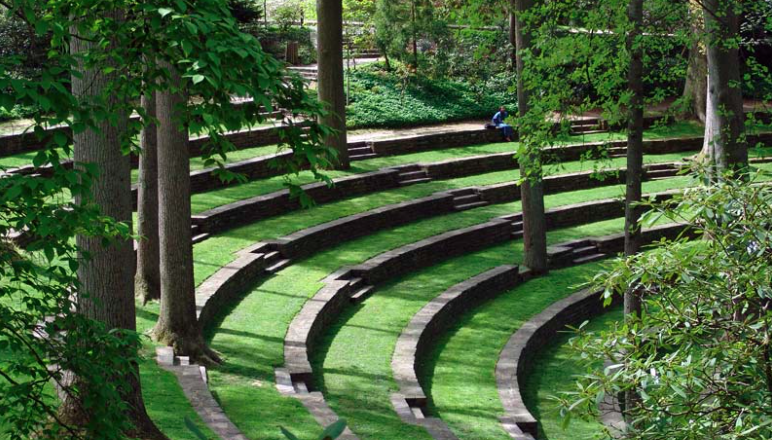 Swarthmore’s grounding in Quaker values, and its commitment to providing what I believe is one of the finest intellectual preparations you can find, is a perfect incubator for the soft-hearted, hard-headed people the world of peace and conflict resolution needs. As a political science major at Swat with strong interests in psychology and philosophy as well, I had the opportunity to study political science with an eye on questions of justice, to learn about political philosophy, ethics, political psychology, cultural anthropology, and more. And as any Swat student knows, being surrounded by dedicated, committed, engaged, visionary fellow students was one of the most important parts of the whole experience. That’s one of the reasons both of my sons are studying there now. I graduated from Swarthmore in 1984. Since then I’ve earned a Ph.D. in social psychology, and had the opportunity to work with labor unions and human rights NGOs, corporations and schools, hospitals, animal rescue networks, Federal disaster relief teams, and more. Right now I’m engaged with a project in Nigeria working on peace building between Christians and Muslims; a project here in Boston that provides dialogue channels between the federal law enforcement agencies and the local Muslim and Sikh communities; a group that uses the sport of Ultimate Frisbee (Go Earthworms and Warmothers!) to bring together Arab Israeli, Jewish Israeli, and Palestinian kids; a project to promote more effective teamwork in local hospitals; and a leadership development and strategic planning process with a local union. Above all, the focus in my professional life is educating the next generation of peacemakers. I direct the Graduate Programs in Conflict Resolution at UMass Boston, and I chair the Department of Conflict Resolution, Human Security and Global Governance in which those programs are located. Our program here is driven by the orientation I’ve described here: it’s all about cultivating soft hearts and hard heads. The program is designed to provide students with the ability to understand, effectively manage, and intervene in conflict situations that arise among individuals and groups, locally and globally. Students explore the causes, dynamics, and consequences of conflict in a variety of settings; they learn techniques of conflict analysis and resolution, problem solving, and collaborative decision making; and develop skills in negotiation, mediation, dialogue and facilitation. Within UMass Boston we are housed in the John W. McCormack Graduate School of Policy and Global Studies, a dynamic environment that houses three academic departments as well as numerous centers and institutes. These provide opportunities for students to participate in research and field projects locally and globally. Conferences and lectureships allow students to network with outstanding scholars and practitioners from a variety of fields. Students come to our programs from six continents and more than thirty countries, bringing a wide range of backgrounds and a rich diversity of experience. Some are midcareer, while others arrive directly from undergraduate degree programs. We have 2 current Fulbrights studying with us from abroad, and 8 new Fulbright applicants for the Fall! Our beautiful campus on Boston Harbor offers our diverse student population both an intimate learning environment and the rich experience of a great American city. Please note that our deadline is fast approaching: it’s March 15!! If you are interested but may not be able to get things together by the deadline, please reach out to me directly and we’ll work with you. Please also consider joining us in April for a 2-day symposium on Bridging Global Religious Divides, and consider submitting a paper for next October’s 10th Biennial Student Conference: “Conflict Studies: The Next Generation of Ideas. 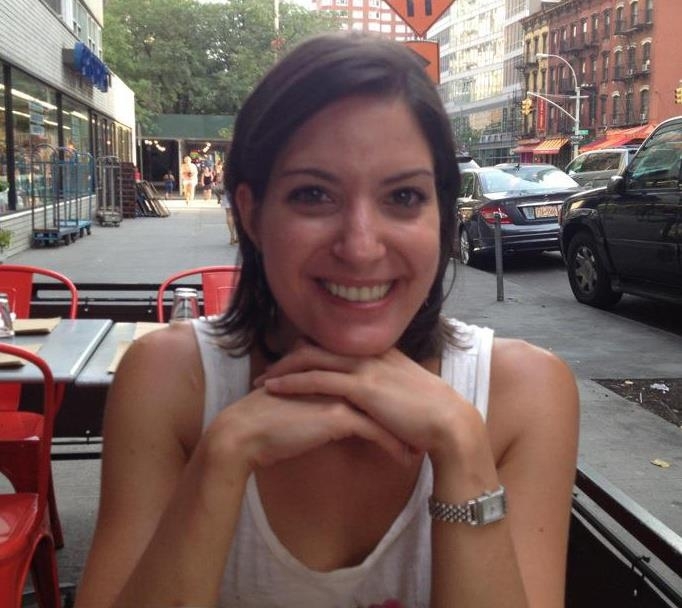 The website of the Steinhardt School of Culture, Education, and Human Development at New York University shares information about Amy Kapit’s (peace and conflict studies minor class of 2006) work on education in situations of armed conflict. We excerpt some of it here. Read More. Why did you choose to pursue a Doctoral degree in International Education? After graduating from Swarthmore College, where I majored in religion and peace and conflict studies, I worked for a couple years on educational advocacy relating to the Israeli and Palestinian conflict. During this time, I became particularly interested in the way that education can shape historical narratives, social identities, and political opinions. I decided that I wanted to contribute to knowledge and research on the subject, focusing on the role of education in situations of armed conflict: how conflict affects education and how education affects conflict, potentially serving to either mitigate and exacerbate it. I look at how the humanitarian community is addressing the problem of attacks on education (violence, harassment, and threats against students, teachers, and schools in areas of armed conflict). More specifically, I focus on the work of humanitarian actors in the occupied Palestinian territory and the linkages between what is occurring there and global advocacy efforts. Kapit-Spitalny, Amy and Burde, Dana (2011). Annex 1: Prioritizing the Agenda for Research for the Global Coalition to Protect Education from Attack: Why Evidence is Important, What We Know, and How to Learn More. In Global Coalition to Protect Education from Attack. Report from the Knowledge Roundtable on Programmatic Measures in Prevention, Intervention and Response to Attacks on EducationNovember 8-11, 2011 Phuket, Thailand. New York, NY: GCPEA, pp. 29-46. Burde, Dana, Kapit-Spitalny, Amy, Wahl, Rachel, and Guven, Ozen (2011). Education and Conflict Mitigation: What the Aid Workers Say. Washington, DC: USAID. Guven, Ozen, Kapit-Spitalny, Amy, and Burde, Dana (contracted and submitted, 2011). The Education of Former Child Soldiers: Finding a Way Back to Civilian Identity. Education Above All. Burde, Dana, Kapit-Spitalny, Amy, Wahl, Rachel, and Guven, Ozen (contracted and submitted, 2010). Education in Emergencies: A Literature Review of What Works, What Does Not, and Why. Norwegian Agency for Development Cooperation. Miller-Idriss, Cynthia and Kapit, Amy (2009). Book Review: Promoting Conflict or Peace Through Identity by Nikki Slocum-Bradley (Ed.). Journal of Intercultural Studies, 30(4), pp. 431-433. I want to work for an international humanitarian agency on issues relating to education in emergencies, using my knowledge and research experience to inform programming and advocacy. Elowyn Corby ’13 received the Undergraduate Thesis Award from the Peace and Justice Studies Association this weekend. Sa’ed Atshan ’05 was there in Waterloo, Ontario to congratulate her. 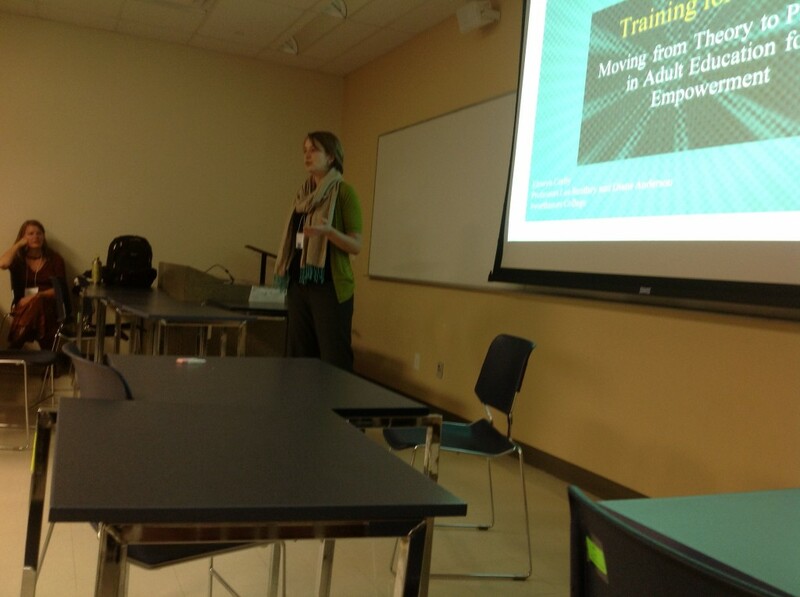 Elowyn Corby presented her thesis at the annual PJSA meeting, held this year in Waterloo, Ontario, Canada. We also learned that last year’s Graduate Thesis Award went to a Swarthmore alum, Sara Koopman, who graduated in 1993. Prof. Joy Charlton was her adviser and she was a Sociology and Anthropology major. 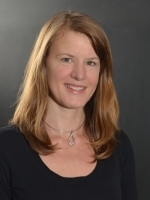 Dr. Koopman is a feminist political geographer who does collaborative research with international solidarity movements to support their efforts to decolonize the relationships between global North and South. Her work also speaks to dynamics in humanitarianism, development, and peacebuilding more generally. She has written about the movement to close the US Army’s School of the Americas, the World Social Forum, and her most recent research is on international protective accompaniment, a strategy used in conflict zones which puts people who are less at risk literally next to people who are under threat because of their work for peace and justice. The paradox of accompaniment is that it uses global systems that make some lives ‘count’ more, to build a world where everyone ‘counts’. In doing so it can both reinforce and wear away systems of inequality. Her postdoctoral research builds on her arguments for understanding some grassroots activism as altergeopolitics by asking what an alterbiopolitics might be, and how the two might work together to foster peace, rather than war. To do so she is creating a public digital archive of stories from conflict zones in Colombia shared by international accompaniers (often as calls for action to pressure states), and engaging in a collaborative analysis with both accompaniers and those accompanied as to what worked well in those stories, with the intention of focusing on best practices for sharing stories online from conflict zones for purposes of solidarity and peace building. Making Space for Peace: International Protective Accompaniment. 2013. Invited chapter in Geographies of Peace, ed. Fiona McConnell, Nick Megoran, and Philippa Williams. (I. B. Tauris), forthcoming. Alter-geopolitics: Other securities are happening. 2011. Geoforum 42:3 (June), 274-284. Cutting through Topologies: Crossing Lines at the School of the Americas. 2008. Antipode. 40:5, 825-847. Bringing Torture Home: Women Shutting Down the School of the Americas. 2006. Field note in special issue on the Global and the Intimate. Women’s Studies Quarterly. 34: 1-2 (Spring/Summer) 90-93. Congratulations to both Sara Koopman and Elowyn Corby for their continuing contributions to the field of Peace and Conflict Studies.